Namamai Services is a health services company founded by individuals with a passion for improving health outcomes for all citizens, with a particular focus on traditionally underserved populations. We create financial efficiencies for hospitals by collaborating around the opportunity to provide innovative solutions to improve disparate health outcomes. Our vision for improving health outcomes involves utilizing existing community based resources, driven by our deep experience in various areas of health care delivery and community based improvement efforts. Our experience with community efforts is uniquely blended with our proven success in creating business efficiencies with a particular emphasis on leveraging information technology. 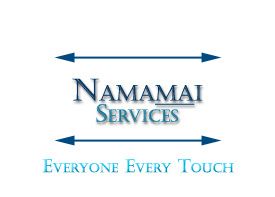 Namamai Services is an innovative business approach to creating business efficiencies and decreasing health disparities. We incorporate advanced principles of community care coordination and link them to the immediate and long-term needs of a health care system struggling to find affordable and effective business solutions for the uncompensated health care needs for vulnerable people living within the North Texas market. We are focused on providing hospitals with a more effective approach to implementing a continuum of care that will enable them to control costs while addressing growing disparate health outcomes. Our solutions are applicable for any hospital interested in addressing the costs of caring for historically disadvantaged people under their care by reducing their total uncompensated care. By incorporating the key principal that we all matter, "Everyone and Every Touch", we provide our clients and patients with the trusted, quality care which is the right of all citizens. Everyone and Every Touch - Everyone and every patient matters, and every "touch" is a key variable in determining that living assessment. Information technology-enabled communication and care path deployment focused on our primary, secondary, and tertiary prevention strategy.